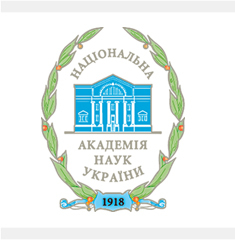 National Academy of Sciences of Ukraine. N. Mikhalchenko, O. Mikhalchenko, E. Nevmeryzhytskyi Corruption in Ukraine: political and philosophical analysis: Monograph. М. Михальченко, О. Михальченко, Є. Невмерижицький Корупція в Україні: політико-філософський аналіз: Монографія. – К.: ІПіЕНД імені І.Ф.Кураса НАН України, 2010. – 615 с. In the monograph, the research into the phenomenon of corruption in political science, philosophical, historical, legal and other aspects, which provides an interdisciplinary approach, is realized. Systemic and structural analysis of the phenomenon of corruption in Ukraine is carried out, but a systematic approach is leading of all methodological approaches. The task of uniting the theory and practice in the anti-corruption drive is realized. The monograph is intended for researchers, teachers, graduate students and practical workers.